Yeah, I knew about this and it’s a great feature. It makes it easier to find a particular email message. 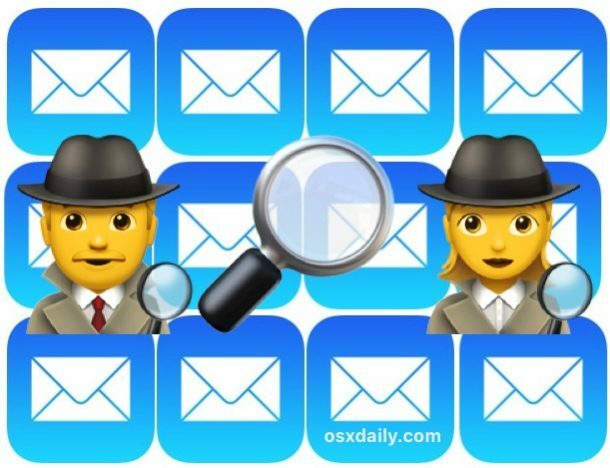 By the way, the downward drag gesture can also be used to reveal the search feature in other iOS stock apps such as messages, ibooks, notes or settings. It doesn’t function on my iPad 3 running iOS 11.2, nor any for any of the other apps reported by Louie. Wait….if it’s an ipad 3 it can’t be running iOS 11.2, unless you mean you have an ipad mini 3. The oldest devices allowed to run iOS 11 are the ipad air 1st gen and the ipad mini 2. It also doesn’t work on my iPad model MPMJ2LL/A running iOS 11.2.6. This advice is just as useless for that hardware/software configuration as the similar advice on Apples official support forum. On my iPhone 8 running iOS 11.2.6 the search panel is found immediately under the mail box heading. There is no need to perform a ‘pull down’. Doesn’t work on my up-to-date iPhone 6s+ and my up-to-date iPad has a search window in each box but no ‘overall’ search feature. Thanks. This is very useful. Search is a feature of Mail app, it is built into the Mail app. Saying it “doesn’t work” is like saying water is not wet, or that a computer is not a computer. It is a feature of iOS Mail app, search is always included. It works. If Search is not working for you that means you specifically have not figured out a way to either read the instructions to access Search or you are using such an old piece of software that no Search feature exists in it. “Not located”, how’s that? ‘s funny how a classy osx reader says “Very useful” and another is a troll. Update(s) made it work by making it work. It would be nice if novice users knew that it was there. More importantly, it would be particularly useful if it would find matches in other “To” or “Cc” recipients, and the content of the messages. I can’t tel you how many times it has NOT returned results like this. Why does the search results leave out some emails. Not all emails that meet the search criteria are presented. How can I search for a word IN an email?